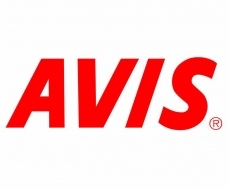 "My husband and I rented a car from Avis, which was returned to the Denver Airport yesterday. I wanted to let you know about our experience because it seems seldom do customers write to express gratitude. The highlight of our rental experience occurred when we were in the process of returning the car. Basically, as we pulled up to the return location, the Avis representative saw that we had two young children in the car (in car seats that we rented) and lots of luggage. He suggested that he find an Avis employee to drive us to the terminal rather than have us unload the car and transfer everything to the shuttle. Within minutes we were dropped off at the airport terminal, pleasantly surprised by the impressive customer service we had just received. We thought you should be aware that customers like us are extremely appreciative when employees understand the concept of "customer satisfaction". We'll be back to rent again soon!"